Mangodlong Rock Beach Resort is finely established in San Francisco, one of the best places to find white beach with pure turquoise waters on this island. In a fishing village of this town, called Mangodlong, lies this beautiful beach and resort facility. This resort covers a total of 2 hectares with extensive coconut-shaded gardens. Mangodlong Rock resort is situated on a private cove. If you know, coves are the best places to find great beaches since they have safe and calm waters. As you can see in the photos, the cove of Mangodlong Rock Beach Resort is wide and spacious enough for lovers of the sea and tranquil environment. What is unique with this resort are the rock formations that prominently float above the sea water close to the beach itself. The structures and scenery are right across the beachfront. The islets and rock formations are linked by a sand bar to the beach. Although the resort seems quiet and secluded, it is full of dynamic fun and interesting beach or water activities. Having a dive center, Mangodlong provides facilities for those diving enthusiasts and sea water active visitors and adventurers. 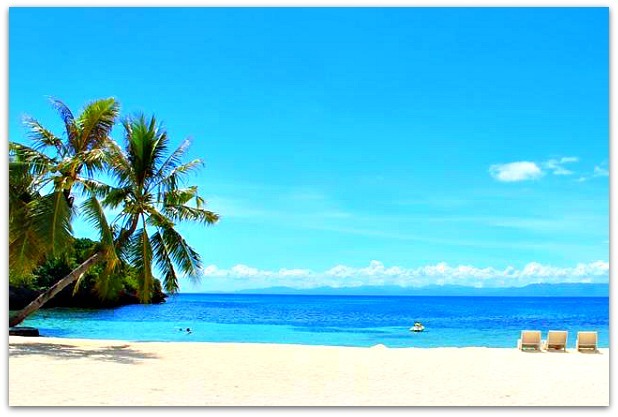 Divers would surely enjoy all sorts of sea creatures and the marine biodiversity under the fecund waters of this island. There is an irregularly-shaped swimming pool – for dipping or cooling off only. 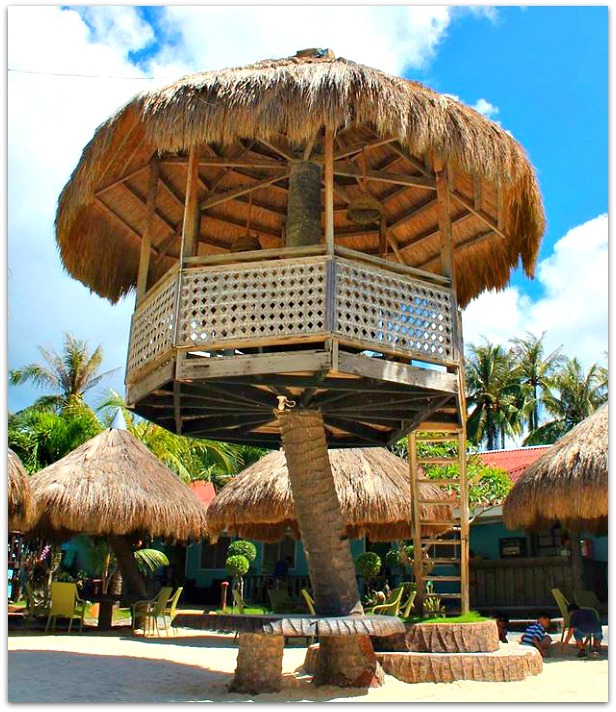 This resort offers various comfortable and affordable rooms for your memorable stay on the island. Please, take note that room rates could change without prior notice and depending on the season. Below, are the rooms with short descriptions for your information. For greater details, please make sure you contact directly the resort. 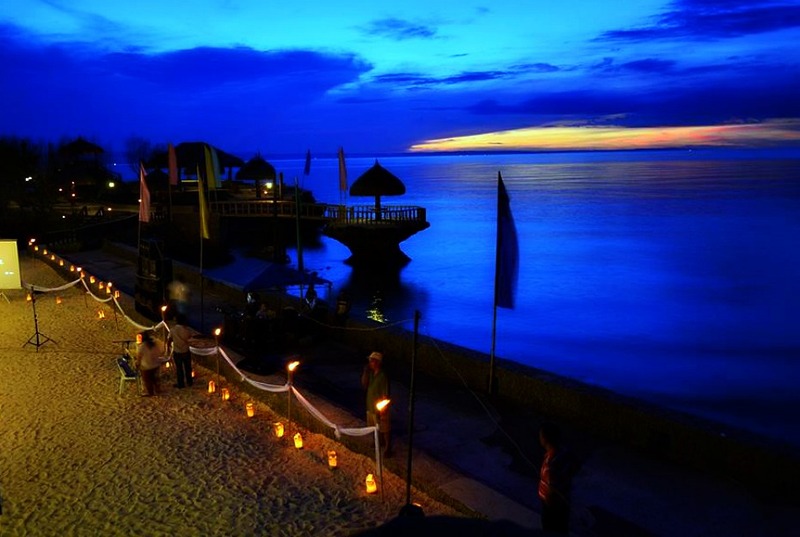 Mangodlong Rock resort is just a few kilometers from Port Consuelo. As you arrive the port, various local transports are available and waiting for your coming. Habal-habal (a motorbike) is the omnipresent transport you can easily get in this area. And most resorts and renting places offers this vehicle for you to take a grand tour on the island. Just prepare to show your ID and there you can go anywhere you wish to explore. Surely, cars and vans can also bring you to this great place. In fact, some visitors to the island take with them their own vehicles to comfortably bring their whole family members or friends for a grand tour around the island. Great thanks for reading through this page. Hope this helps you find what you've been searching for. You may continue scanning more beaches, resorts, great sites, guides, among other help you can use from this website. Have a great day and wonderful travels then!